New Symbol For Healthful Eating: Hello Plate, Goodbye Pyramid : Shots - Health News The U.S. Department of Agriculture is ditching the complicated food pyramid symbol of healthful eating for a simpler, streamlined dinner plate. Nobody's going to miss the pyramid, experts say. It was too confusing. 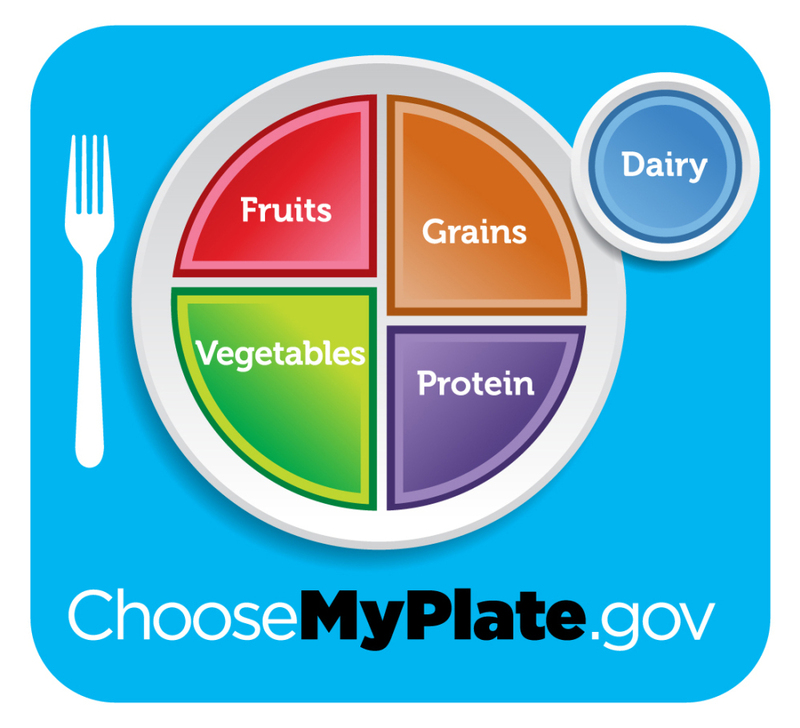 It's a pretty safe bet that not many people will mourn the demise of the U.S. Department of Agriculture's food pyramid — the 20-year-old symbol of the department's dietary guidelines — when it's officially retired Thursday. Just about everyone agrees the pyramid was complicated, and tried to get too many messages across at once — more dairy, less sweets, exercise, portion control, etc. But the new symbol is simple — a plate divided into portions. And that's a good thing, said first lady Michelle Obama at a news conference on the subject. "Parents don't have the time to measure out exactly three ounces of chicken or to look up how much rice or broccoli is in a serving," she said. The pyramid has been maligned for some time. "I'm surprised they didn't go to the dodecahedron as their next alternative," quipped John Stanton, who heads the food marketing department at St. Joseph's University in Philadelphia, to Shots. The plate features a lot more fruits and vegetables. In fact, half the plate is devoted to fruits and veggies. That's good news for fruit and vegetable producers like Lorelei DiSogra, vice president for nutrition and health at the United Fresh Produce Association. DiSogra worked on the "half plate" message for more than a decade in various jobs, including one at the National Cancer Institute. "Half a plate is a very effective communications tool. It's very compelling, it's very clear, it's very straightforward," she says. In other words, it's everything the pyramid was not. Less prominent on the plate is meat. In fact, it's not even named. Americans are not going to throw out their grills, says Planet Barbecue author and host of PBS' Primal Grill Steven Raichlen. But they might start thinking about using meat the way many other countries around the world do — as more of a flavorful condiment than "this belly-bludgeoning, plate-burying hunk of protein." A simple plate is a good idea from a marketing standpoint, St. Joseph's University's Stanton says. "The consumer spends maybe a maximum of three seconds looking at a food in a grocery store," he says. "Can you think of a busy mother trying to put delicious, nutritious food on the table, looking at a pyramid?" Been there, done that, and, nope.